Tractor and Farm Machinery Service and Repairs. Our service department is extremely well equipped to deal with any service problem you may have, from routine out-of-season servicing to breakdowns at critical times during harvest. We have fully (factory) trained staff who are highly skilled and experienced to rectify any problems promptly to ensure you’re back up and running as quickly as possible. We use the very latest diagnostic tooling and we constantly invest in service training and tooling upgrades, giving you complete piece of mind that we will get you sorted in the least possible time, helping to keep all problems to a minimum. Even if you break down in the field, all of our service vehicles are fully equipped to deal with the problem quickly. We offer a comprehensive out-of-season tractor and farm machinery service and repair appraisal whereby we will check your machine over and let you know of any problems. This is a great way of ensuring your machines are in the best shape for the rigours ahead to help minimise downtime and maximise productivity. This will also help reduce costs too. 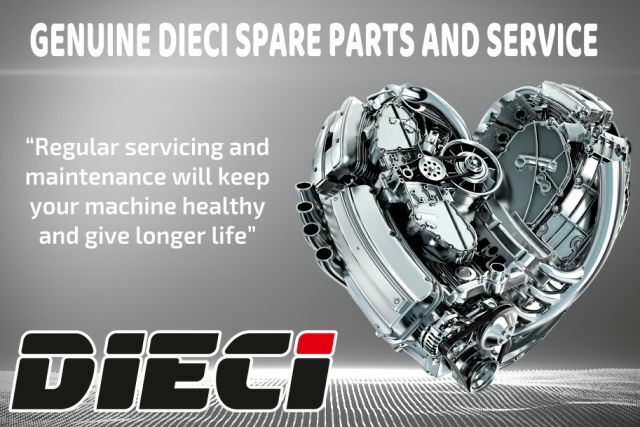 We can now also provide a comprehensive service on the full range of Dieci Telehandlers and we only use genuine Dieci spare parts to give longer service life and reduce any potential downtime. Contact our service department for more information. We are now official Tilly (Trailer Inspection Lifesaving Legislation Yearly) your Trailer Approved Testers. With a comprehensive service profile that includes checking lights, tyres, towing eye, drawbar, chassis, pins and bushes, ram seals, hydraulic pipes, connectors, air lines, brake shoes, drums and springs, wheel studs and nuts, tailgate, hand/park brake and cable, wheel bearings alongside other important checks. Contact us for more information or visit the Tilly your Trailer website. Give our service team a call as we can service and repair any make and model of tractor and farm machinery, not just the ones’ we sell.